Carrot Cake Smoothie! This healthy smoothie is made with fresh fruit, veggies oats and a touch of almond butter. This satisfying smoothie is flavorful, hearty and not overly sweet. 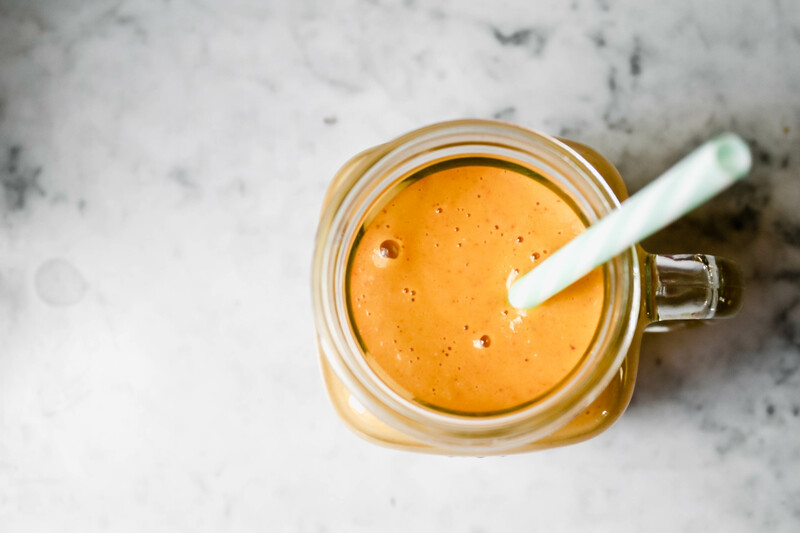 Plus, this carrot cake smoothie is made without banana, which means this smoothie really tastes like carrot cake! Get more smoothie tips and recipes! 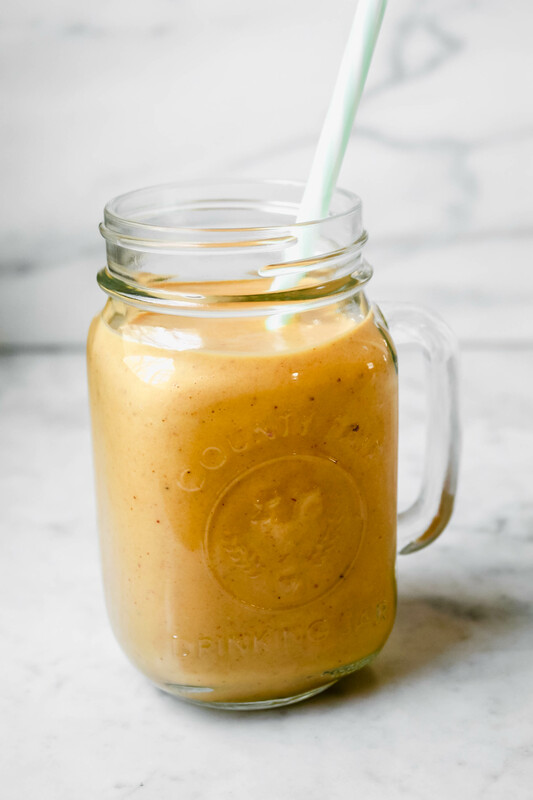 This carrot cake smoothie is a bit different than others I have featured on ZK. It’s a touch thicker and not as sweet—this smoothie one is for the adventurous. I love it because it truly tastes like carrot cake. If you want it sweeter swap out the frozen mango for frozen pineapple chunks or increase the maple syrup a bit. 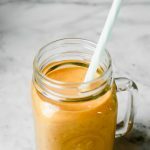 Creamy and flavorful, this healthy carrot cake smoothie is made with fruit, veggies, whole-grains and healthy fats! Pour water into blender first followed by remaining ingredients. Blend until smooth. Quick tip: for best processing, always start by adding the liquid to the blender first followed by remaining ingredients.